Flower tattoo design on the leg. Another tattoo design for girls. 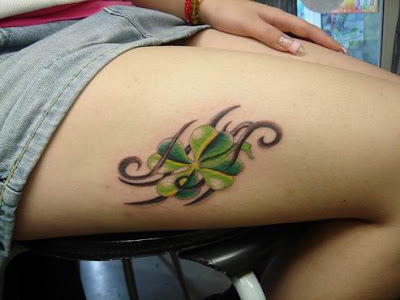 The color of this tattoo shows a good contrast to the leg, making the leg look longer.